With the first quarter of 2018 complete, how am I doing on my 2018 plans? Consume more new content: I read a 1900 page fantasy trilogy last month and have restarted my long stale Netflix queue (currently watching Colony, Season Two) so I award myself a passing grade here. Get back on the treadmill: I'm failing at treadmill time for two reasons -- (1) given the choice between exercising my body or my brain, I always choose my brain, and (2) when I'm on the treadmill in the early morning, I feel like I'll wake the baby up (directly upstairs) if I run too hard. However, I'm still walking with Maia every single day and my pants still fall off of my hips without a belt, so the lack of cardio isn't awful, just bad. Learn to play the soprano recorder: I know 5 notes (G through D) and can play several songs from memory, but have not made as much progress as I could. If there were rewards like Book It pizzas, I would be more motivated. Passing grade, regardless, because I went to public school. Try new things in cooking: The cool cooking book that Rebecca bought me has sat in the kitchen so long that it's faded into the background. I need to pick it back up again. Fail. Don't work more than necessary: I'm doing great on this! Maintain programming skills: I have not gotten back into programming yet. Instead, I went even further back to refresh my math skills in the areas vital to data science -- linear algebra, calculus, and statistics. I took all of these classes in undergrad for my math minor, but cared so little about them that I learned just enough to pass tests and then forgot it all. Last month, I started a self-study course in linear algebra and am making steady progress through Chapter Two right now. Passing grade! What have you been doing with your life? 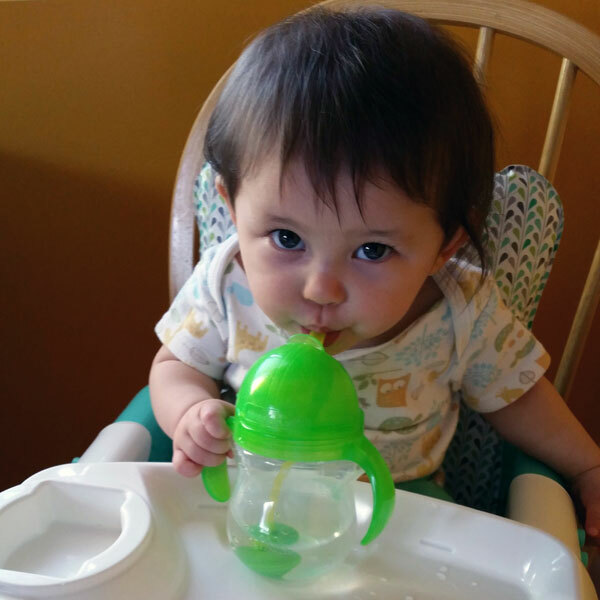 Maia has made it to 9 months on the dot, so she's been out almost as long as she was in. 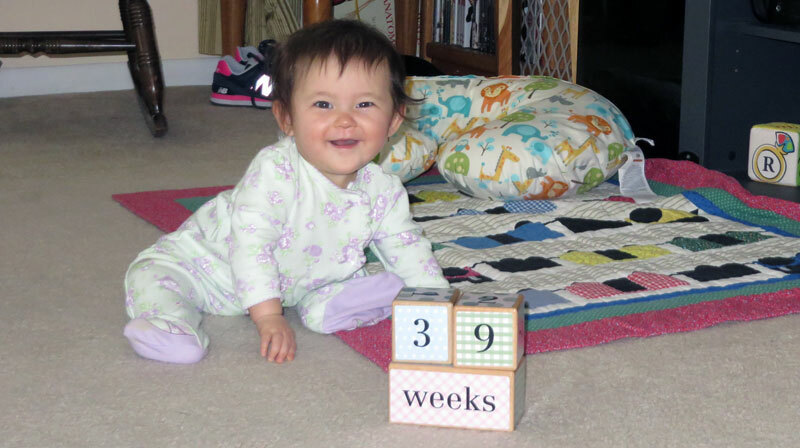 Over the past two weeks, she has perfected her army crawl which is mainly an elbow-based method of mobility. 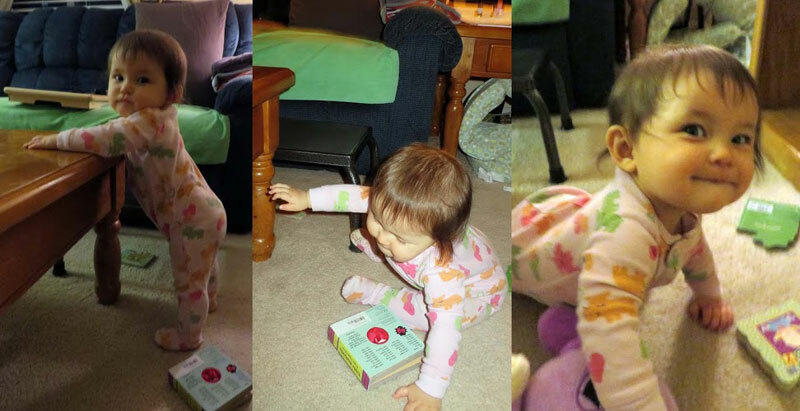 She can also open bottom drawers and pull herself up on them (though she can't get herself from a crawl to a sitting position yet). 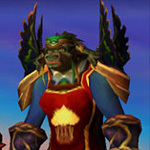 Lastly, she makes clicking sounds with her tongue constantly like she's learning a tribal language. 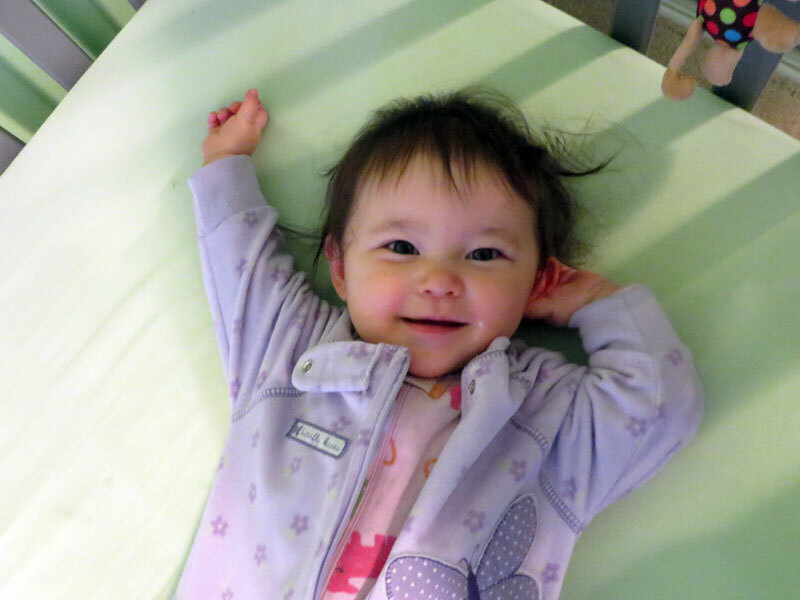 To stay one step ahead of her, the house has slowly been baby-proofed. Outlet covers have been on since Ella came over to visit in 2007 so that was a no-brainer. The stair gate went up in early March and strategic barricades have been erected between her and various power strips or oily treadmills. I also installed a stove anti-tip brace, TV anti-tip straps, and carry-out dinner anti-tip protection. I'm currently going room by room to anchor top-heavy dressers to the wall. This weekend, we're taking her up to Rhode Island to visit her 3 cousins. Our 90 minute direct flight to Providence feels like it will be easy mode compared to LA, and the presence of young kids up there means we can travel with mostly just the clothes on our back! 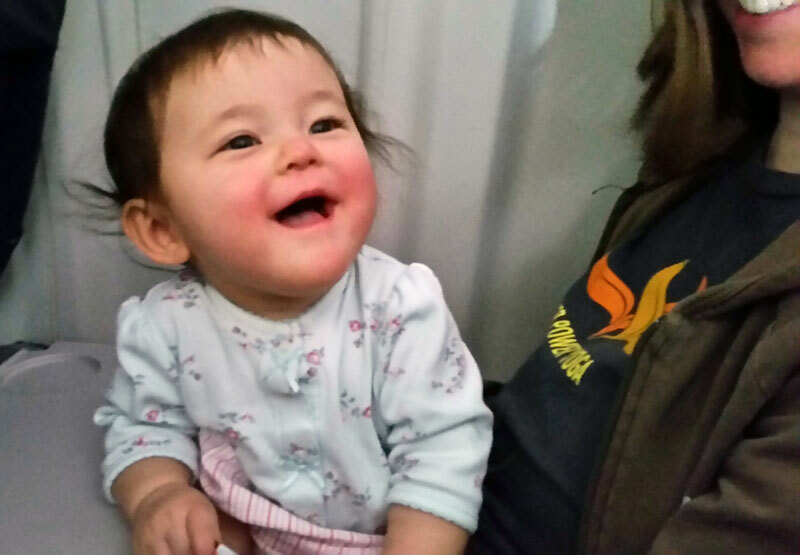 Maia enjoys the plane ride (90 minutes) north. 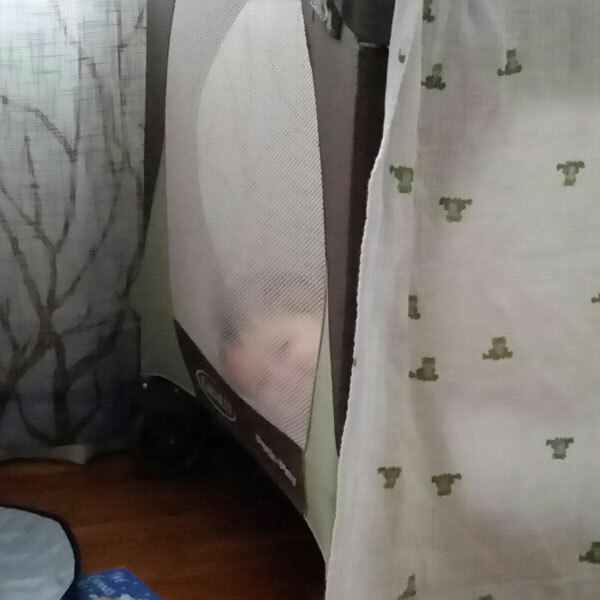 Pretty sure this travel crib is haunted. 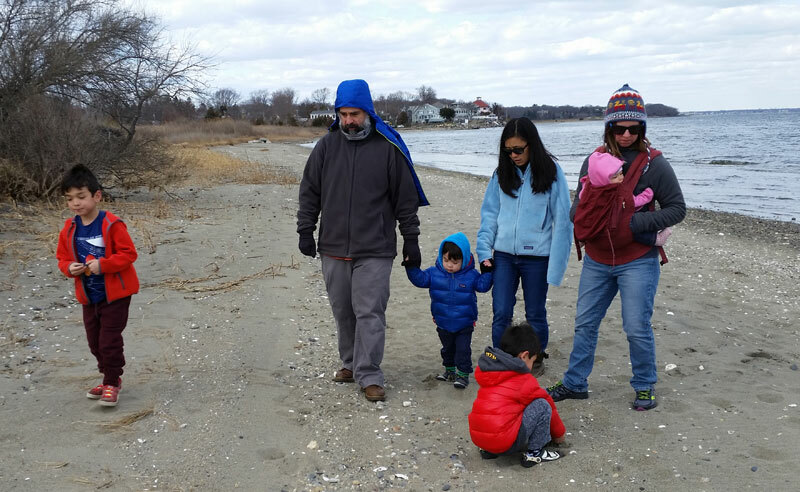 A cold walk along Calf Pasture Beach. This picture was taken ten years ago today, on April 11, 2008. Rebecca and I were on our first trip to Europe and April 11 was a cold and rainy travel day. After leftover quiches in our room in Collioure while watching Melrose Place, we got on the train to Barcelona. Accompanying us was Pierre the French Dog, who we purchased for Anna's 1-year-old, Ella, and who we took pictures of all over Europe to make a little story book. 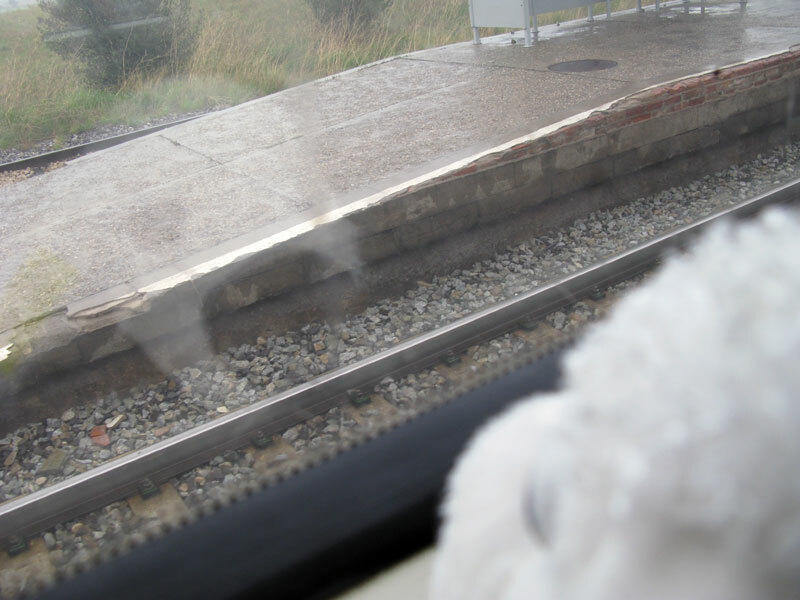 Pierre got really bored on this train because it turned out to be a regional train that stopped in every tiny border town south of France. When we finally arrived at the Sants train station in Barcelona, no one knew where our hotel was. It turned out to be another hour outside of town, requiring a long commuter train and 10 block walk to reach. When we arrived at 6 PM, it was nowhere near Spanish dinner time, so we got a box of wine and assorted crackers and breads from a local convenience store and crashed in our surprisingly swank hotel room. 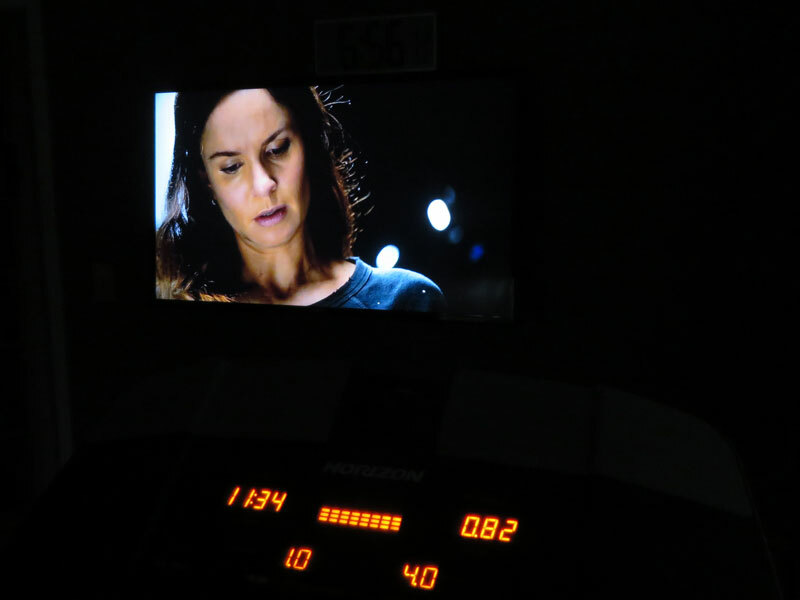 6:56 AM: Early morning treadmill run with Colony, Season Two. 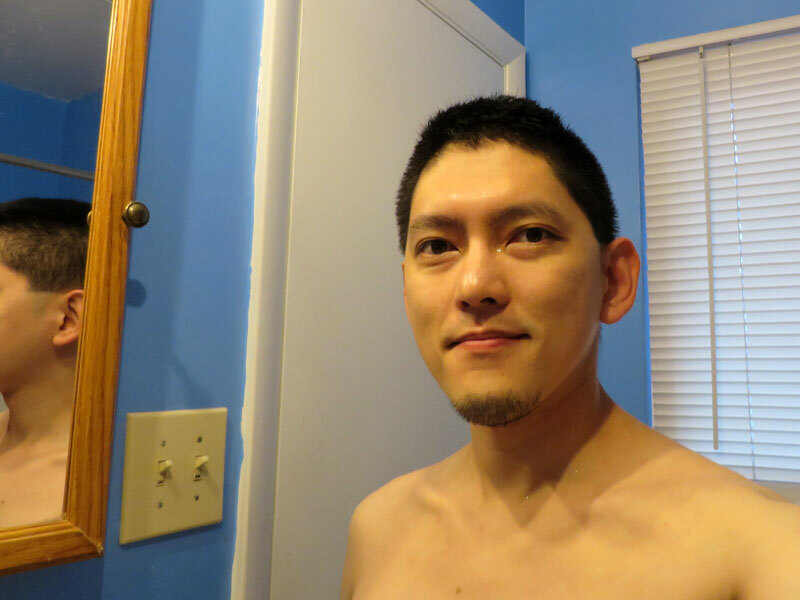 7:26 AM: Showered and ready for the day. 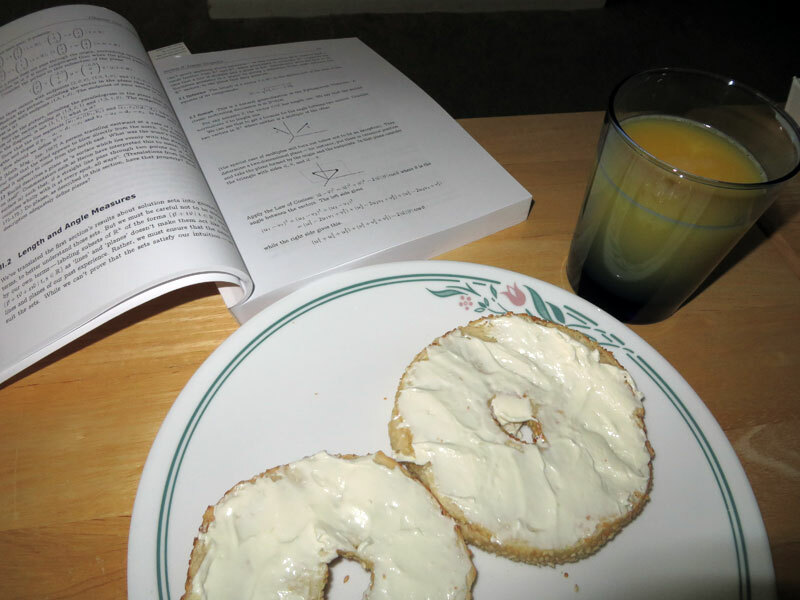 9:09 AM: Breakfast over a thrilling chapter on linear geometry. 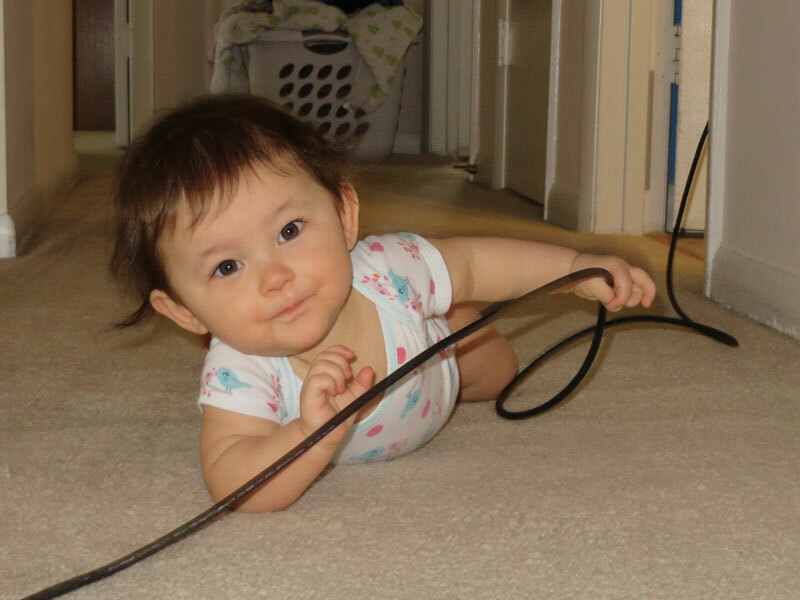 10:38 AM: Helping with the vacuuming. 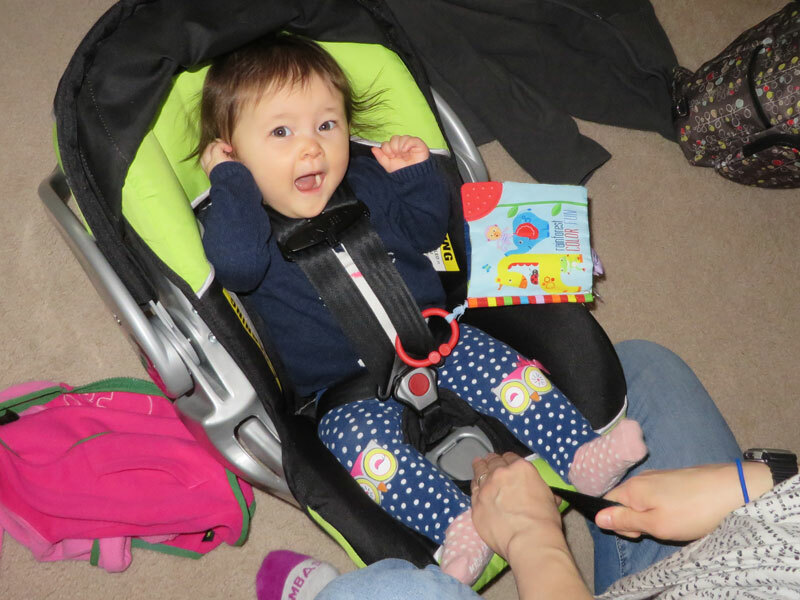 10:51 AM: Off to library story time though she'd rather be writing new age music (she's a little yawny). 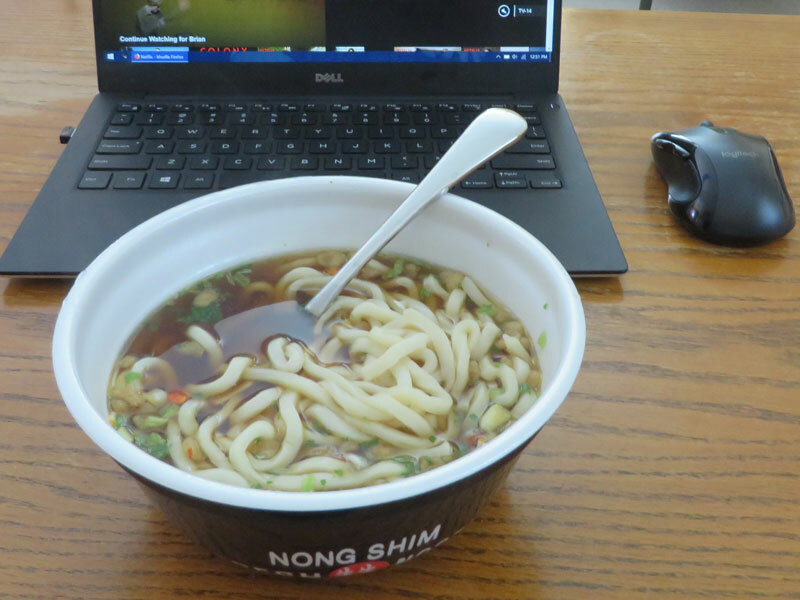 12:51 PM: Noodles for lunch. 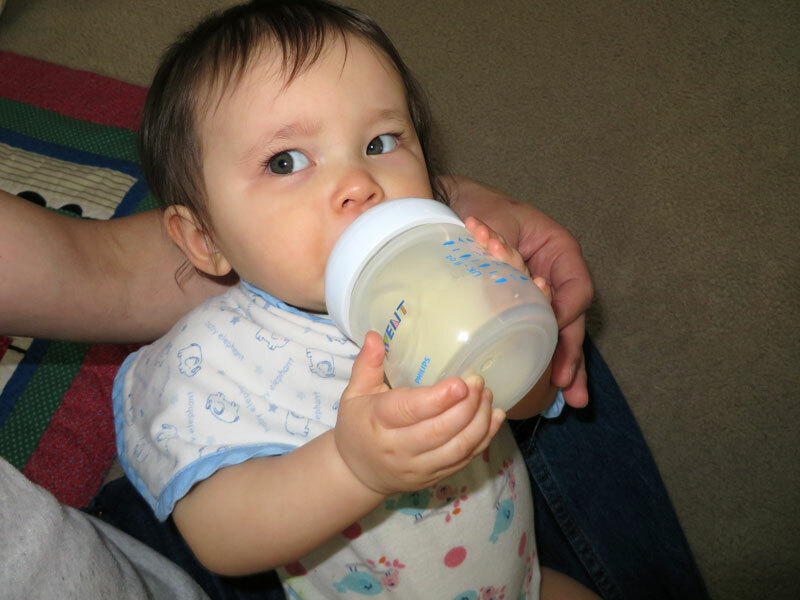 3:25 PM: A bottle of distrust. 5:36 PM: Happy hour with the departing boss. 6:16 PM: Second nap is game time, although the inmates have figured out the effective range of the camera in the yard. 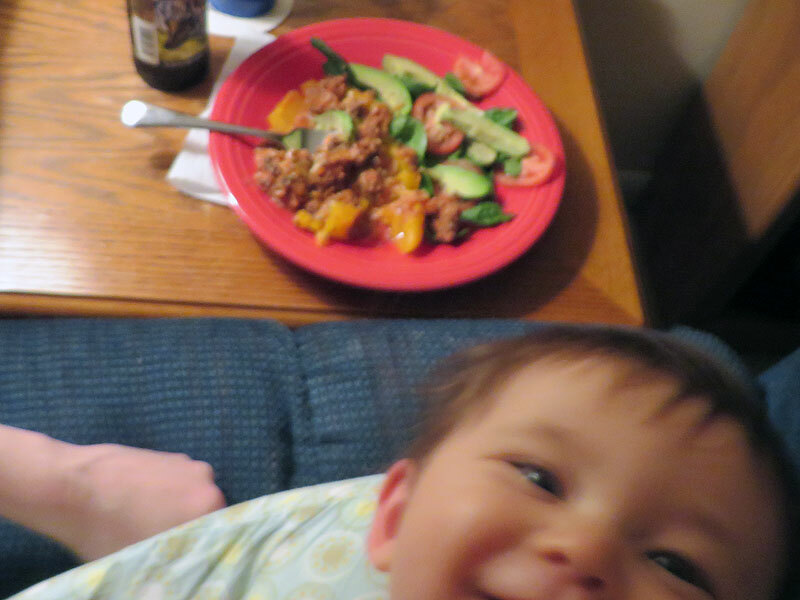 9:13 PM: Costco stuffed peppers for dinner. The final book in the Farseer Trilogy outstays its welcome by being longer than the previous books but with less going on. What's sad is that there is a very fulfilling conclusion in the final pages of the book, but it feels almost like an afterthought. If that section had been expanded upon and the previous, repetitive sections of people walking somewhere and being sad had been trimmed by a good 25%, the book would have been much more satisfying. This is a fairly silly show (with one new episode released every Sunday) in which Joel McHale makes fun of clips from various reality TV shows and random famous guest stars stop by to do amateur skits and plug their new shows (essentially a reboot of The Soup from the E! network). The humor is hit-or-miss and the skits generally fall flat, but there are just enough hilarious clips to make it worth a watch. Free on Netflix. The problem with this season is that there aren't enough new, thought-provoking ideas to build episodes around. Instead, this season felt more like the writers were exploring "What if we told other stories in the same worlds we had already created?" Over half the episodes dealt with the concept of the "cookie" that contained a person's consciousness, which is fine, but something we already explored in earlier episodes. The episode, USS Callister, is probably the best mix of fun and horror, and Metalhead is easily one of the worst episodes ever created. Free on Netflix. Perhaps I'm spoiled by quality shows with shorter, complete seasons (like Fargo), but I find Colony to suffer from a plodding, network pace in which new plot information is methodically spoonfed to allow for the show to possibly carry on for years. If the plots of the first two seasons (26 episodes) had been compressed into a single 20-episode season, it would be much more compelling. As it is, I worry that the show is going to pull a LOST on me (a real danger since the creator of LOST is also the creator of this). Free on Netflix. This picture was taken 36 years ago in June of 1982. 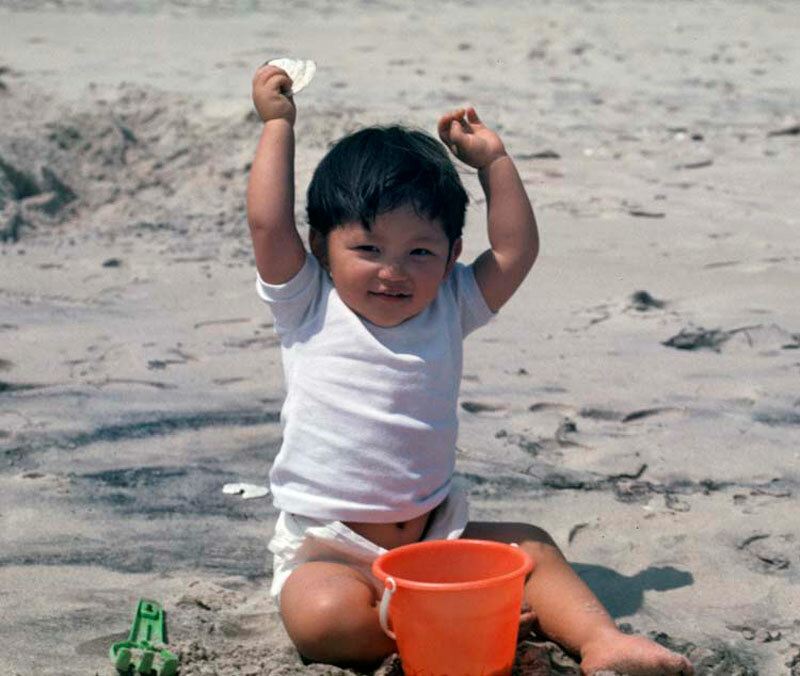 I am 2 years old and sitting on the beach in Ocean City, Maryland, according to my Dad, the historian. I don't remember being in Ocean City at all as a kid, and spent a good portion of my 20s and 30s dismissing it as a poor man's Outer Banks. Based on my 2017 visit for our Babymoon, it kind of is, but there's nothing wrong with that if that's what you need for a long weekend! Back in 1993 when local cable access channels were still a thing and Jones Intercable had not yet been bought out by Comcast, the show, Scouting in Alexandria was featured in an article in the Alexandria Gazette Packet. 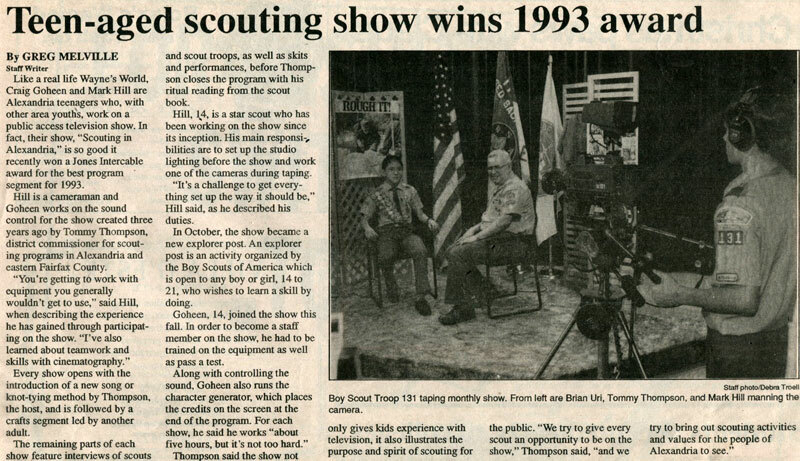 I did very little with this show other than to get interviewed once about my Eagle Scout badge although I did attend a few editing sessions when it was an "Explorer Post", turning knobs and splicing VHS tapes like a pro. This participation gradually petered out after I couldn't find anyone willing to give me a ride to the studio on a regular basis. Following five years of work and fifteen months of hype, the URI! Recital is the most anticipated event in the history of mankind. With ten original compositions performed by twenty-three musicians in a room that holds two-hundred and fifty-two people, the URI! Recital will be the biggest ninety minutes of your lifetime. Featuring past and present MVs doing all sorts of wild and crazy things: Dave Ball, Philip Barbie, Chris Booher, Kelley Corbett, Dave Day, Scott Elliott, Chris Fraker as "Doobie", Tim Galyen, Abby Gray, Kristi Kirby, Christy Kull, Erin Lawson, Julia Mays, Jason Mirick, Wythe Newberry, Rosie Pereira, Jonathan Shachter, Anna Spellerberg, Joe Tornello, Carly Williams, and Jaime Williams, with special guest, John Schurman, as Audience Member #24. Since it's the halfway point to a long musical weekend, you can pre-game by attending Peter Schatz's senior trumpet recital on Saturday afternoon, and the New River Valley Symphony concert Saturday night. Cool down after the recital with a faculty concert Sunday night, and the VT Brass Ensemble Monday night. Attending this recital will aid in the liberation of starving musicians all over the world. Co-sponsored by "Hubcap" and Delta Mu, the non-service music fraternity. I abused multiple listservs to get the broadest dissemination for my undergraduate recital. Please accept Elizabeth's Practica Musica file. I was supposed to send it for her this morning when I woke up b/c she did not know how to do it herself. I didn't wake up till 8:30. I am so sorry about the late sending. I totally accepted this late submission even though Elizabeth should have known how to submit her own file in the LAST WEEK OF THE SEMESTER. This is probably why I got such great evaluations on my ear-training / sight-singing class. I am not making any recommendations (not allowed to do that) but I think from a personal point of view that your cheapest and least time consuming route maybe throwing more physical memory at the problem. You are currently only running 4GB. Total slots = 6. Believe that it is only using 2. (Unsure of this without doing a physical check). There was a time when our work project had amazing onsite system administrators who would proactively identify problems and work with us to correct them before they affected the end users. Within five years, they had all been replaced by entry level staff who thought that racks only occurred on women and in dishwashers. Also, 4 GB of RAM seems like a rather small allotment for a webserver serving the entire Department of Defense. 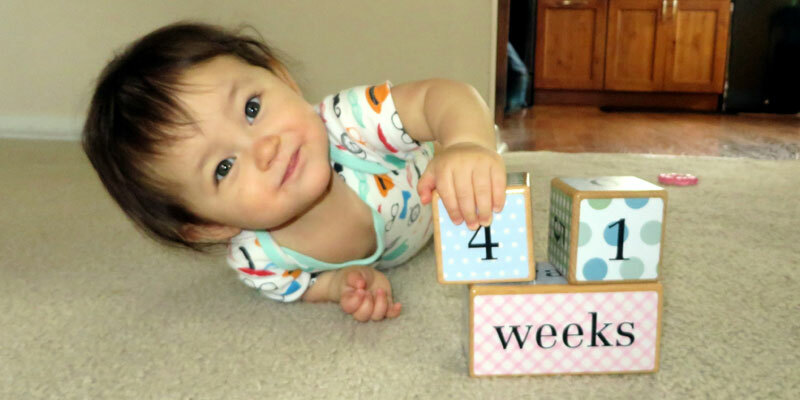 For everyone who wants more baby pictures. 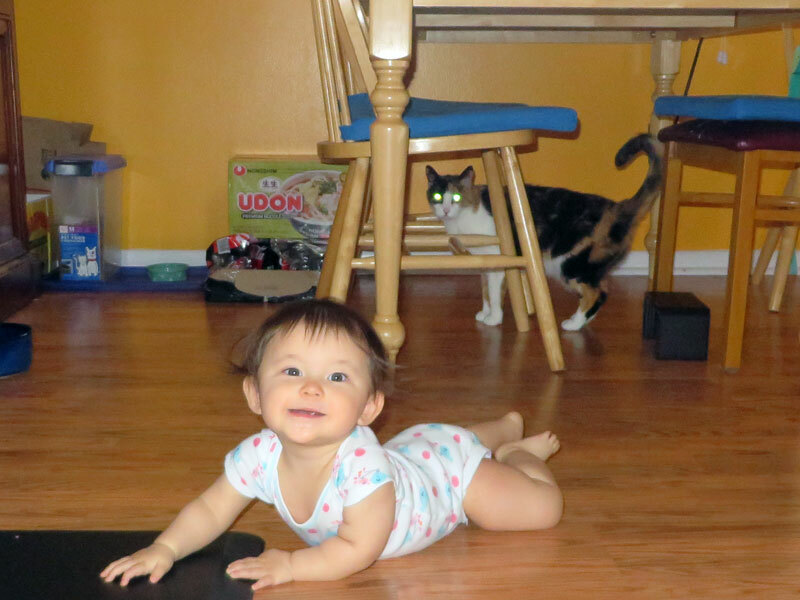 This week, Maia pulled herself up onto our low-rider coffee table (by way of an even lower footstool). It lasted mere moments until she tumbled down, unphased and instilled with a sense of pride and accomplishment. This is Maia sitting in the grass at Claude Moore Park, performing science experiments with sticks and gumballs. The temperature that day was a pleasant 72 degrees. Got sick with something Maia had on Easter, S 4/1. Flew to Rhode Island to visit my sister and the nephews for the weekend on F 4/6. 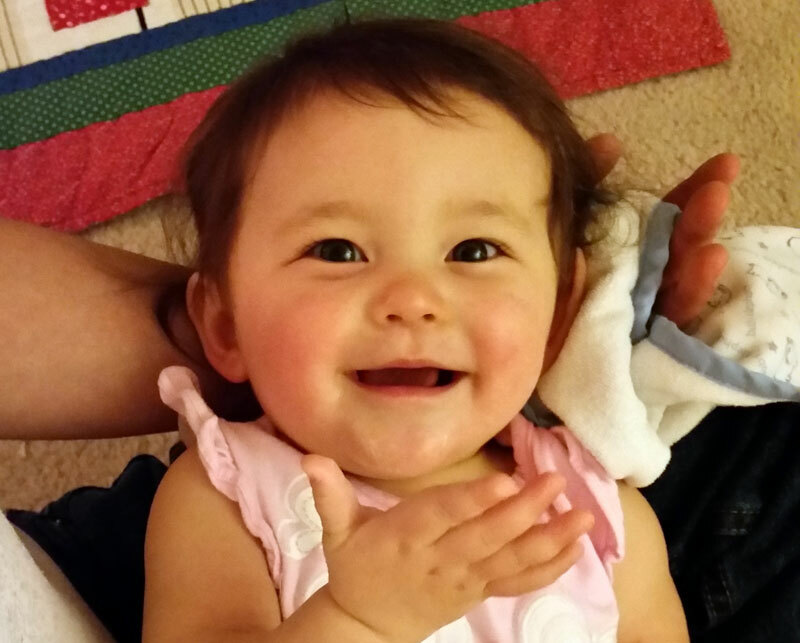 Maia got her 9-month-old vaccines on T 4/10. 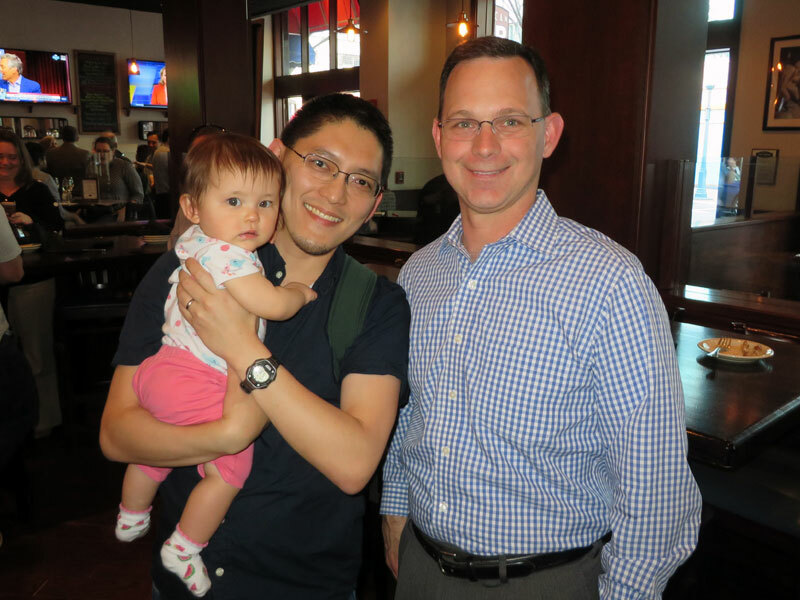 Went to a Happy Hour for my departing boss at American Tap Room on H 4/12. Maia got sick and passed it on to me on F 4/13. Hiked in Algonkian and had Car over for dinner. 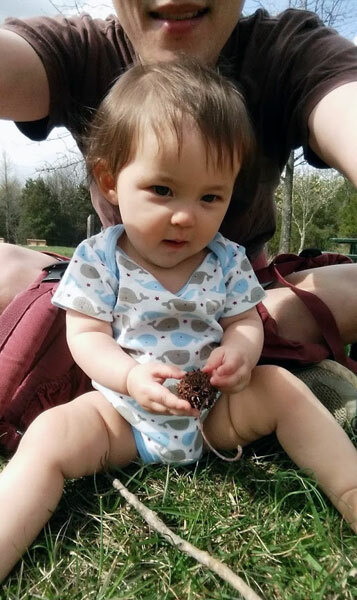 Sat on the back porch and in the backyard with Maia to enjoy some spring weather on S 4/14. 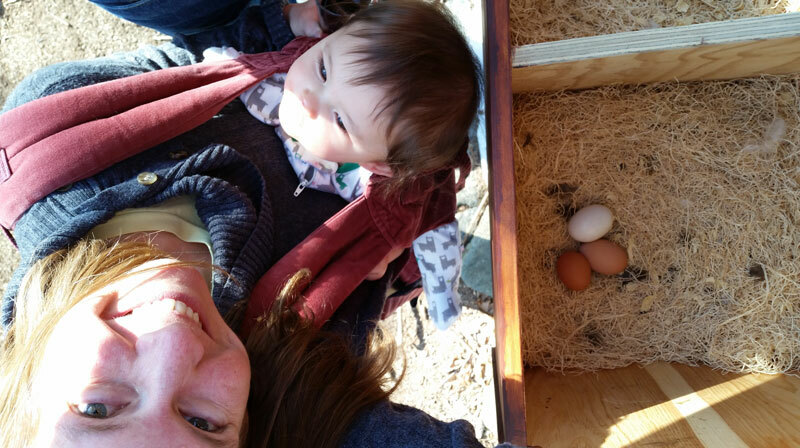 Rebecca and Maia went to the Farmer's Market and made Shiitake Omeletes for dinner on S 4/15. Up all night sick without sleep on M 4/16. Triumphant return to Claude Moore Park for an afternoon walk on W 4/18. Walked through the golf course at Algonkian on F 4/20 and had Joe's for dinner. Got sick with some weird abdominal cramps for the next four days. Went to a BBQ at Karolina and Carlos' house on S 4/22 after another Algonkian walk. Had my first migraine since 2016 on T 4/24. 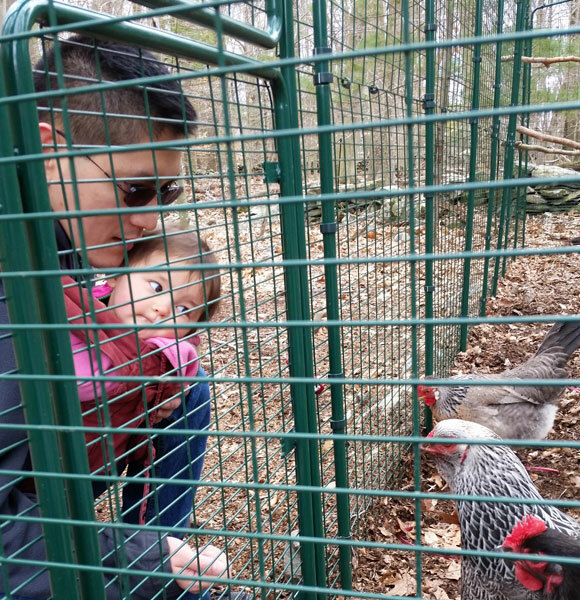 Took Maia to see my parents on W 4/25. Had dinner from Rollplay -- a little skimpy on the meats. Had a family date at Mellow Mushroom on F 4/27 and gave Maia some delicious pizza crust. Rebecca and Maia went to the Farmer's Market on S 4/28. Went to my parents' house in the evening for a belated birthday dinner. Watched Maia while Rebecca went to Jessika's birthday dinner on S 4/29. Finished securing all of the wide loads in the house to prevent baby crushing. 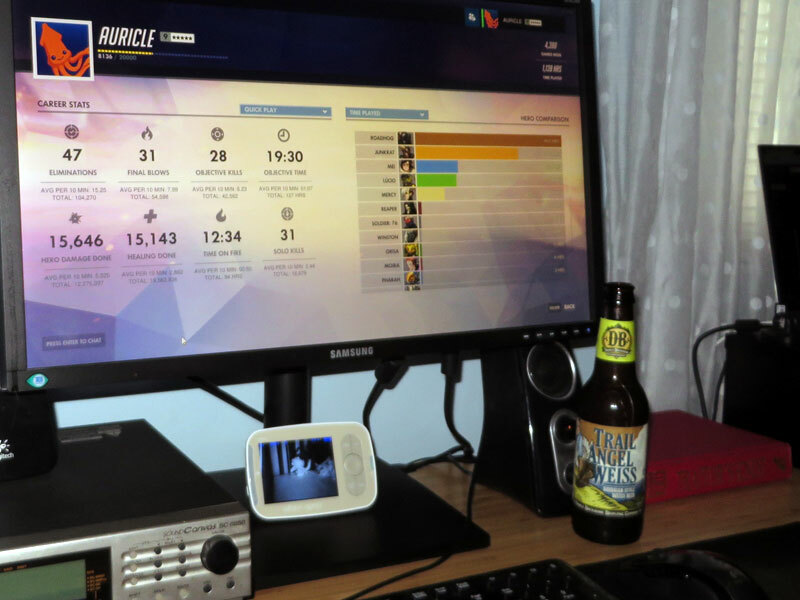 Got to level 1150 in Overwatch. Purchased Divinity: Original Sin 2 but have not dived into it yet as I'm still in RPG character creation paralysis mode. No exciting TV shows, movies, or music this month. Currently enjoying the second season of Sneaky Pete though. April's Final Grade: C-, spent most of the month sick!